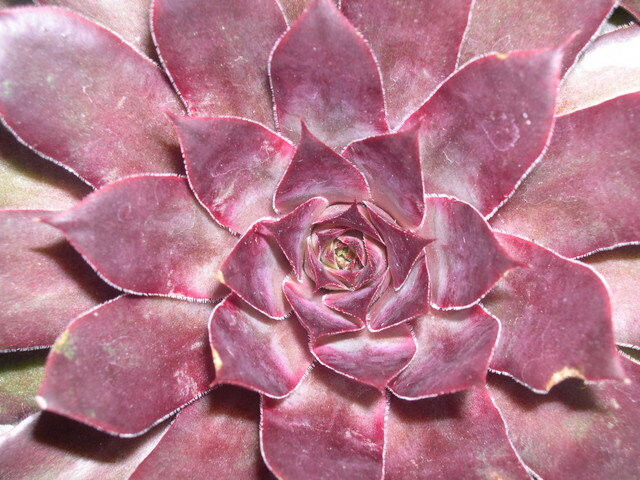 Rosettes are rich wine –red, paler toward the center. Tips are almost black. Large.